Awhile back I mentioned a critiquing exercise I found very helpful in improving my own writing. I also offered to critique a post for anyone interested. Two people have taken me up on the offer and today I present my second blog critique, this time for Jack Robinson who posts at College Cram. If you missed it here’s my last blog critique for Rudy, who also blogs at College Cram. I looked at Jack’s post Global Warming: Science, Opinion, or Faith?, which asks us to investigate the science behind global warming instead of debating the issue on the basis of emotional or political opinion. Click on the first link at the top of this post for a full rundown of the exercise, but the general idea of this kind of critique is to underline portions of the text you like and add squgglys beneath the parts you don’t like. Questions about grammar and punctuation get circled. As with the last critique I used green in place of underlines and red in place of squigglys and I omitted the circles. I’m also making the Word Document with all the marks available for download. The part of the critique I find most useful is the three things I liked and the three suggestions for improvement, which I’ll present here (They’re also included in the Word Doc). You’ll likely find it helpful to read Jack’s post through the link above or via the Word Document for everything below to make sense. I promise it won’t take you long and I’ll still be here when you get back. The article looks at a well known issue from a different perspective. It doesn’t choose a side in the global warming debate like most articles on the subject, but encourages the debate to be based on facts instead of emotions. While I think I have a sense of which side the author stands on the debate, whether the author is pro or con in regards to global warming solutions is kept in the background, as it’s not important to the point of the article. It could be a tricky balance to maintain, but it’s done very well here. Too much pro or con opinion on global warming would obscure the point of the article. The right balance is maintained here. The story about Earth Day pulls me into the article. The first person account of the day makes the issues more relevant to me on a personal level instead of keeping them only on a global scale. The personal account does lend some emotional response to an article arguing against making decisions emotionally, but does so without losing its way. The emotion is brought into the article, but still kept separate from the the issue of global warming itself. It works by adding it to a section that discusses something related, but not specifically the main issue. The quote by Mark Twain is a perfect match for the point the article is trying to make and lends an air of authority to everything that follows. Since the theme of the article is to debate global warming based on facts I’d like to see some of the facts in the article itself. There’s a link to the theory of global warming at the end. Links to more sources would be helpful. What might also be interesting would be to have some of the facts interspersed throughout the article. Perhaps a fact in between each paragraph. These facts could drive home the point of what is known about global warming, while the article makes the case against debating based on politics and emotion. The facts could then be the starting point for further debate. Continuing with the idea above some of the emotional arguments that are not based on fact might also make for interesting snippets throughout the article. These might be counterbalanced with the facts. The fact could be a direct counterpoint to what has become a commonly accepted argument on either side of the debate. This counterpoint would reinforce the main theme of the article. Taken together they may imply that Earth Day resulted in some very good things despite the scientific facts, which works against the theme that we should be investigating the facts of global warming instead of debating the politics and emotions. If Earth Day was successful despite the facts why should we think that facts are needed when it comes to global warming. I hope these critiques are helping you see ways in which posts can be structured or written differently. The point of these critiques isn’t to imply that my suggestions are the only way these posts can be changed or that my suggestions would automatically improve the article in question. What the critique is meant to do is get both the author and the person doing the critique to look at a piece of writing in a new way. The author will ideally gain some insight into making their specific post better and the critic will hopefully gain insight into the craft of writing. I want to emphasize again that if you put in an honest effort on the critique you’ll gain a lot. While the author gets some nice feedback on something he or she has written I think it’s the person who does the critique who will see the most improvement in writing. Is anyone else game for a critique? I’ll extend the offer to critique one of your posts, though I’d prefer one from a different blog as we’ve already had a few posts from college cram. I’d also like to get you to try critiquing so if anyone wants to take up the challenge you can critique my post, Branding For Small Business And Bloggers. The post should be meaty enough to make the critique a little easier to get through. 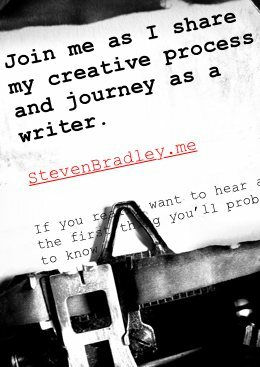 You can post the critique on your blog like I’m doing here, or just send me a copy of your critique. If you do either I guarantee a link back to your blog in some way, shape, or form. And if you’d rather not make the critique public on your blog or send it to me that’s fine too. I’ll still urge you to give it a try. Have you ever tried this or a similar exercise in critiquing? Ever had something you’ve written critiqued? If you have please share your experiences both positive and negative. Thanks Steven. I appreciate your thoughtful approach and comments. I will be re-reading them to allow them to fully sink in. Certainly it is encouraging to read the points you liked, and this process buys you enough points to be able to get a fair hearing on the critical suggestions! This just reinforces what you and I both believe about the value of this process. By the way, with this initial post, I had in mind following it with a series examining the science, point by point, which I have started to build. You are absolutely right about the difficulty in maintaining neutrality in this process. I have become bogged down somewhere in my 3rd and 4th premises of the theory and the difficulty of a non-scientist making a scientific determination is probably going to be the subject of a future post! I have seen a posting on another site referencing my non-analytical conclusions and use of “orders of magnitude” referencing the influence of greenhouse gasses. I clearly have some work to do there. Thanks again. I really enjoyed having your feedback. Glad to help Jack. I learn a lot myself critiquing other people’s work. What’s interesting is I learned this process as part of a creative writing workshop where the work was naturally longer than it is for a single article. There’s a lot more source material to find things you like and suggestions to improve the work. I wasn’t sure how it would work out with articles, but for me it’s worked the same way. I just have to think a little differently, which is the whole point for me. Let me know when you have more in the series of articles published. I’ll be interested to read them. I’m not different than most people in having strong opinions about global warming and what I think we should all do. I’m interested in seeing where you take the next few articles and what facts you uncover. I absolutely agree it’s an issue that is hard to be completely objective about. We all have our views and it’s much easier to find half truths that back out point of view instead of seeking out scientific truth. Thanks again for being a guinea pig. I hope my comments help in some way and I hope others realize the benefits in having your work critiqued and in critiquing someone else’s work.